These Gurdwaras are known as the foundations of Sikhism and are the physical roots of the Sikh faith. Nanakana Sahib was named after the physical birth of Sri Guru Nanak Dev Ji on 29 November 1469. 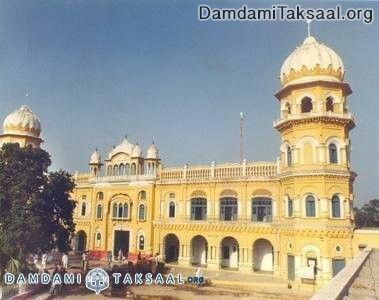 Gurdwara Janam Asthan (place of birth of Guru Ji) is the premiere shrine of Nanakana Sahib. There are many other shrines which relate to Guru Ji's childhood in the vicinity. Sikhs lost control of the management of Nanakana Sahib during the reign of the British and it was mis-managed and desecrated by Mahant Narain Das. The Sikhs had to protest and fight hard to win back the management from the clutches of this evil Mahant and the management of the shrine was handed over to the Shriomani Gurdwara Parbhandak Committee (SGPC) on 20 February 1921. In 1947, with partition, management of the shrine came under the Pakistani government - but now the shrine and associated land are managed by the recently formed Pakistani Gurdwara Parbhandak Committee (PGPC). The city of Amritsar Sahib signifies the source of life and faith for Sikhs. It became a centre for trade and faith for Sikhs during the period Guruship’s of Sri Guru Amar Das and Sr Guru Arjan Dev Ji. Sri Harimander Sahib (The Temple of God) was built in Amritsar and even the name Amritsar originates and coincides with the construction of Sri Harimandir - or Darbar Sahib, as it is commonly known. The word Amritsar is made up of two words ‘Amrit’ and ‘Sar’. Amrit is immortal nectar and Sar refers to Sarovar – pool of water. So Amritsar means the place with the pool of Amrit referring to the Sarovar of Sri Harimander Sahib. Sri Harimander Sahib is the most important spiritual shrine for Sikhs as would be Mecca for Muslims and Bethlehem for Christians. 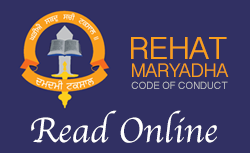 There are continuous recitals of Gurbani and Kirtan that is sung throughout the day. The complex of the Gurdwara purposely has been built with 4 doors to signify that Darbar Sahib is open to all the four castes and people from all directions of the world. Sain Mian Mir - a Sufi Saint who was a devotee of Sri Guru Arjan Dev Ji - laid the foundation stone of Sri Harimander Sahib at the request of Guru Ji. Sri Guru Ram Das commenced the work on the Sarovar in 1577 AD and it was duly completed by Sri Guru Arjan Dev Ji who raised the structure of Sri Harimander Sahib in the middle of the Sarovar. The opening of Sri Harimander Sahib was crowned with the Pehla Parksah (first installation) of Sri Adh Granth Sahib Jee on 16th August 1604. Sri Harimander Sahib symbolizes humility as the devout have to go down stairs to enter the complex as the Gurwara has purposely been built on lower ground. The gold upon Sri Harimander Sahib was added by Maharajah Ranjit Singh during his sovereign reign and has added to the grandeur, spledour and awe that one experiences when visiting Sri Harimander Sahib. It was from hereon that the name of "Golden Temple" became famous. The full Mool Mantar - from Ikoankar – to Nanak Hosi Bhi Sach - is inscribed above the doorway directly above the entrance into Darbar Sahib. Sri Darbar Sahib has been attacked throughout Sikh history by invaders and rulers as attacking and desecrating Sri Darbar Sahib is to attack the heart of every Sikh itself. The first attack came from Ahmed Shah Abdali. Baba Deep Singh Ji attained Shaheedi protecting the honor and sanctity of Sri Darbar Sahib. Abdali on his 7th invasion again attacked Sri Darbar Sahib and this time he met a neck-breaking response from the 2nd Jathedar of Damdami Taksal, Baba Gurbaksh Singh Ji, who maintained martyrdom in the same fashion as Baba Deep Singh Ji fighting with his head in his palm. It was desecrated again by Massa Rangar who was decapitated by Bhai Mehtab Singh and Bhai Sukha Singh. Most recently, Indira Gandhi, the Prime Minister of India, sent her troops in and faced a co-ordinated response from the Singhs inside the complex who were led by Sant Jarnail Singh Ji Bhindranwale - the then leader of Damdami Taksal. Sri Tarn Taran Sahib is south of Sri Amritsar Sahib and is about 20km away. It was founded by Sri Guru Arjan Dev Ji in 1596 but the construction of the Sarovar had been inaugurated in 1590. Guru Ji started building Darbar Sahib but a ban on further building was imposed by the imperial authority. Tarn Taran means a boat that can ferry one across the ocean. in this way, this shrine is revered as a place of liberation with great significance being placed upon the Sarovar which is the largest Sarovar for any Gurdwara in the world. The Sarovar also has healing properties and is popularly known as ‘Dukh Nivaran’ – Eradicator of Pain. If any devotee comes with love for the Guru and pain or suffering, it will be eradicated by bathing in the Sarovar if the devotee has steadfast faith and belief in the Guru. In 1768 the construction was recommenced and it was completed by the revered Sardar Budh Singh and Sardar Jassa Singh Ramgharia. Mukhtsar is the Sarovar of Liberation referring to the sacred pool which is now the name of the City (Mukhtsar). The historical significance of this shrine relates to the denunciation of the Guru by 40 Sikhs who left Sri Guru Gobind Singh Ji whilst in battle at Anandpur Sahib. These 40 Sikhs were reunited with Guru Ji after He successfully escaped Chamkaur on 7 December 1705. After escaping from Chamkaur Guru Ji re-entered battle with the Mughals on 29 December 1705 where these 40 Sikhs entered battle with Guru Ji once again under the auspicious leadership of Mai Bhago. All of these 40 Sikhs were martyred in the battle that ensued and one of these Singh’s named Bhai Maha Singh asked Guru Ji to tear up the denunciation letter he had written in agreement with the other Singh’s. Guru Ji happily tore up the letter and named these 40 Sikh’s the 40 Liberated Ones (Chaali Mukte). There was already a pool situated at this place where Guru Ji said the Singh’s had attained liberation which was called ‘Khidrana da Tab’ or the Pool of Khidrana. This was then renamed Mukhtsar due to the heroics of the 40 Sikhs.